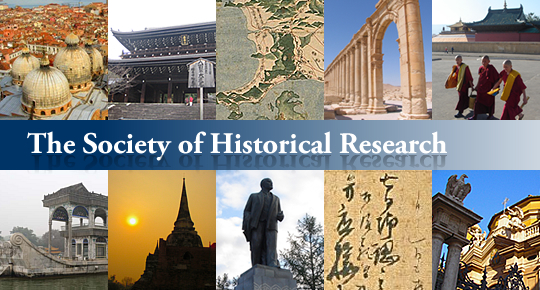 The Society of Historical Research (SHR: Shigaku-Kenkyukai) is an academic society dedicated to the broadly-defined field of historical studies that contains history, geography and archaeology, and is open to anyone interested therein. The society was established in 1908, and among the leading founders were students and staff members of the Division of History, College of Letters, Kyoto Imperial University (the predecessor of the Faculty of Letters, Kyoto University). The SHR publishes six issues of the Shirin journal annually. The journal’s broad focus covers a number of sub-disciplines of history, geography, and archaeology. Since its first publication in 1916, Shirin has been issued without interruption---even under the hardship of the Second World War. It has provided a locus for publication of numerous discoveries, findings and ideas, and promoted discussion of various historical topics. Taking pride in the contributions Shirin has made until present, the SHR devotes persistent efforts to make the journal a vital forum that will provide solid foundations for original viewpoints on various fields of historical studies. The SHR holds two academic meetings annually. In the spring, it organizes a symposium where discussants from various fields give presentations on a common subject. In the autumn, a public session is held in which two speakers deliver lectures on his/her research topics. Copyright 2010 The Society of Historical Research All Rights Reserved.